My goal for my patients is to never see them in my clinic again. Hopefully they’ll be living a healthy lifestyle that doesn’t require office visit to any healthcare provider, including myself. That’s a lofty goal, but I do think that people should be as independent as possible with their healthcare. Only requiring the rare office visit for a checkup. There is a lot to get to that point, because there is no short-term fix for longevity. The biggest component to that boils down to education, which is the reason why I am writing all of these blogs. Regardless if my patients read my blogs or not, there is always some educational component with every office visit. At some point during one of the visits with my patients, I tell my patients where they are with their health and where I expect their health to go throughout the treatment plan (although there is never any guarantees). That is usually brought up during the report of findings (2nd visit) where I go over the intake form, physical exam findings, blood work, advanced imaging, or anything else that is pertinent to the patient’s current health status. As far as where I want my patients to go with their health, it is generally the same thing with everyone in that they are eating healthy food that “agrees” with them, doing some sort of exercise, getting adjustments to maintain an optimum lifestyle, and supplementing to meet an individual’s biochemical needs. Each person is different as far as their metabolism. It can be difficult to say what sort of diet (as far as macro distribution) works best for particular patients. Generally, you want to eat organic fruits and vegetables along with pasture raised meat and wild caught seafood. These should gain priority over processed food and added sugar. Doing this will limit your exposure to antibiotics, pesticides, added hormones, endocrine disruptors, and other chemicals that could be harmful to your body. Eating everything organic doesn’t mean there isn’t going to be pesticides on your food however. There are factors such pesticide drift, watershed locations, and many others that can contaminate your organic food. Exercise is necessary to help maintain a healthy body and mind. However, moderate amounts of exercise is ideal because it has been shown to increase longevity. Too little exercise means that a person isn’t stimulating their brain or body enough. This in turn atrophies (breaks down) the muscle. Atrophy is a survival mechanism to reallocate substrates, chemicals, etc. Taking it from non-vital and unused tissue to vital tissue that is used to keep that particular person alive. Sarcopenia (muscle wasting disease) is a prime example. The patient’s body is reallocating unused muscle protein into protein used for enzymatic reactions. As a side note, there are other things involved with sarcopenia like hypochlorhydria and/or protein malabsorption that contributes to the muscles being broken down. Too much exercise is also known as overtraining syndrome. Someone is not allowing their bodies to recover from exercise before exercising again. In order to build muscle, there needs to be a “breakdown” of the muscle fibers via exercise. Then there is a healing of those broken-down muscle fibers. That healing increases muscle fiber connectivity, and at a certain point that connectivity reaches a maximum which forces the muscle to hypertrophy (which causes the muscle to get bigger). Not allowing that healing process to occur means that all a person is doing is breaking down the muscle fibers, which adds stress to ligaments and tendons because they try to accommodate for lack of muscle fiber connectivity, which eventually results in injury. Getting a chiropractic adjustment is arguably the most important thing a person can do to restore bodily function and maintain a healthy lifestyle. 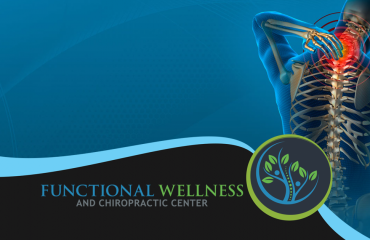 I think chiropractors are known for helping getting people out of pain. However, dysfunction in the body doesn’t always manifest as pain. 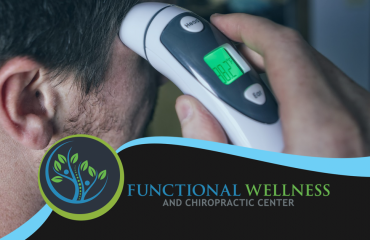 An aspect of the chiropractic adjustment is to reestablish communication of one part of the body to the brain as well as the rest of the body. Miscommunication within the body is a result any mental, chemical, or physical stressor that the body cannot handle. These manifest as a subluxation (what chiropractors try to correct via adjustments). When it comes patients getting adjusted in my clinic, it takes a few adjustments early on to reestablish communication within the body, because the body has been stuck in a pattern of miscommunication. Eventually, patients don’t have to get adjusted as often because the patient’s body is communicating more effectively and able to deal with those mental, chemical, and physical stressors better. Diet is important to achieving and maintaining a healthy lifestyle, however, there is only so much food can do in today’s society. Since food isn’t as nutrient dense today as it was a century ago, people need to supplement in order to make up for the discrepancies. According to Dr. Mark Hyman MD “A whopping 92 percent of us are deficient in one or more nutrients at the Recommended Daily Allowance (RDA) level,” and since “the RDA is the nutritional equivalent of minimum wage” supplementation is necessary to live a healthy and optimal life. Just like everything I have stated earlier, nutritional needs for people vary from person to person and there really isn’t a general program for everyone to achieve an optimal lifestyle. With that being said, there are five supplements that I have seen in my clinic that help essentially every patient. This “Foundational Five” consists of multivitamin/multimineral, omega 3 fatty acid, phytonutrients, vitamin D3, and probiotics. The multivitamin/multimineral is important for cofactors for enzymatic reactions within the body. Vitamin D3 helps with hormone balancing, gut health, and blood sugar regulation. Omega 3 fatty acids are important for brain and immune health as well as anti-inflammation within the body. We use phytonutrients (plant-based nutrients) to fuel our bodies. Finally, probiotics maintain good gut health, which comprises 80% of the human immune system. There will be another blog describing in greater detail how these Foundational Five nutrients are important. Liebenson C. Rehabilitation of the Spine: A Practitioner’s Manuel 2nd Edition. Lippincott Williams & Wilkins. 2007. Walther DS. Applied Kinesiology Synopsis: 2nd Edition. Triad of Health Publishing. 2000.